One of the best parts about homeschooling is picking out the curriculum. Isn’t it? You are in charge of what your kid is learning and there are so many writing workbooks for homeschooling. If you want your kid to learn as much as they can about writing, then it only makes sense to find the best writing workbook for your child! Every child in their homeschool journey is different. My oldest took to handwriting and drawing and has better handwriting then I do. My two under him not so much. Then add in they each respond better to a different form of practice. We make sure to add in as many sneaky fine motor skills play as possible and just keep practicing. 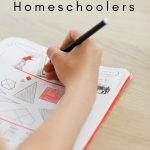 You can find many free printable worksheets on Pinterest but these workbooks below have been amazing in our homeschool! When it comes to writing, sometimes you need to learn cursive. Third grade is going to hit soon and you need the best handwriting cursive book out there. Grab this one from DK Workbooks! It’s simple, inexpensive, and can be delivered in 2 days. We love the Handwriting Without Tears books. They have several from printing to cursive and they even have a teachers guide. Many homeschool parents swear by them. Some kids struggle with writing and that can be hard for them. Allow your kid to be confident with their writing thanks to Writing with Ease. This is a writing workbook that allows your child to write with ease and with school. Sometimes your preschooler just needs to start off into the writing world super easy. This preschool writing workbook can teach your child how to write through tracing animals. Your child is going to learn faster with practice! If you have a high schooler who needs to work on their writing and language skills, then they’ll need this Essential Writing & Language Skills prep book! Through daily writing, they will learn how to process thoughts, write them properly, and many other important skills that older teens need for high school and eventually college. An important part of writing that is often looked over is spelling. One of the best writing workbooks for homeschooling is called Writing Stardust. Improving spelling and thought patterns are so important when it comes to writing. There are 20 chapters filled with concepts that will help a student with their knowledge base and planning! When it comes to writing, sometimes you just have to get your kid’s attention. 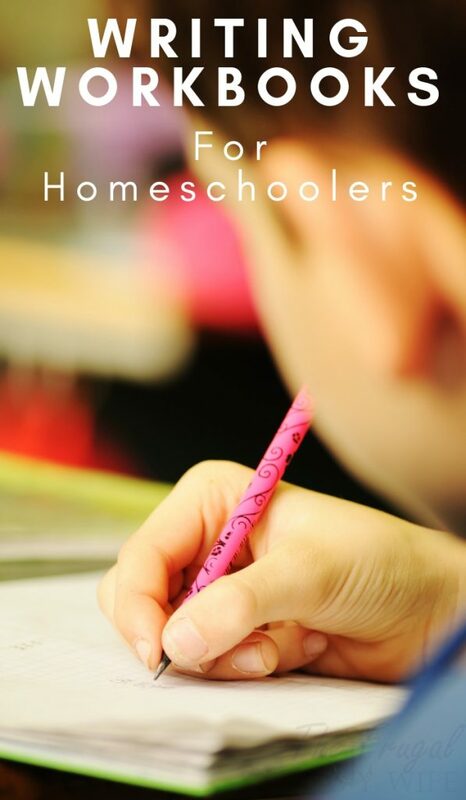 This is one of the best writing workbooks for homeschooling because it does just that. Writing is a skill that every child needs and this workbook can help bring your child’s skills to the top. Since writing is such an important skill to learn, picking out the right writing workbook is so important. Take your time looking as there are so many to choose from. What’s the best writing workbooks for homeschooling you’ve used in the past?